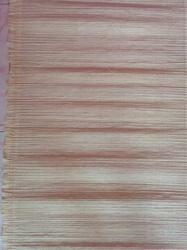 Owing to the presence of our expert team members, we have been able to provide a wide range of Banana Fiber Table Mat. These are widely recommended by clients owing to its beautiful patterns, fine finish and designer appearance. Following the exact demands of clients, we also provide these in different colors. We bring forth vast industrial experience and expertise in this business, involved in offering a high-quality range of Fibre Coco Mat. In our extensive product range, we are highly engaged in offering a quality approved range of Fibre Mats. Matching up with the requirements of our clients, we are involved in offering Matex Fibre Mat. Our client can avail high quality range of Resin Bonded Glass Fiber Mat. This range is known for uniform fiber dispersion, smooth surface, good mould obedience, low binder content, softness and various other features. We are offering Fm2 Inlaid, which is made of 100% fine fiber and used in the door steps. While using a mat it should guarantee the durability and the quality of the materials. Fibre mats always have a luxury bliss that has dominated the Coir Industry with a stunning demand all over the world. One can choose from an array of 'inlaid' and printed designs. It is easy to brush 3cm thick Fibre mats, which stands out for its quality and life-span. These are manufactured from high quality raw coir. Suited to latest market trends and superior designs. Available in choices of more designs and sizes at economical market price. Dense coir fiber pile makes it ideal for printed designs. 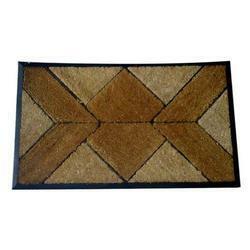 Also available with attractive inlaid designs and widely recognized as the most elegant doormat. Optional guaranteed colorfast printing and beveling. 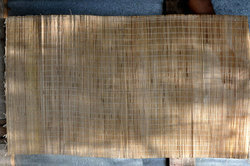 The natural fiber mats using for bedmats and centring use. while using the mat to centring, the ceiling quality and finishing will be best than other. Owing to our proficiency in this domain, we are providing our clients an optimum range of Printed Fibre Mat. Widely recognized as the most elegant doormat due to its dense pile and ability to render complex designs smoothly. These are thick heavy-duty doormats either with a prints on a dense coir fiber pile or with attractive inlaid designs.